August was a real growth month for me. As I previously shared. I have been learning a lot about makeup . 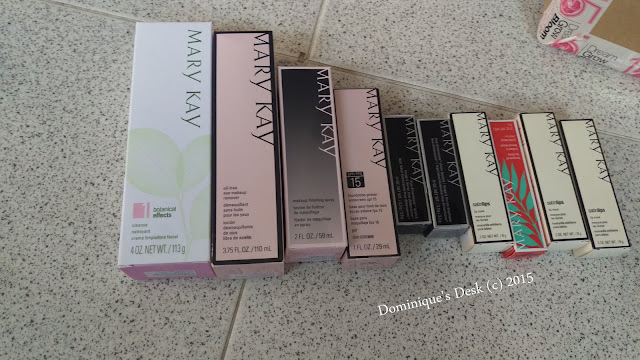 Since joining Mary Kay 6 months ago I’ve expanded my knowledge about the different type of makeup and skincare products. 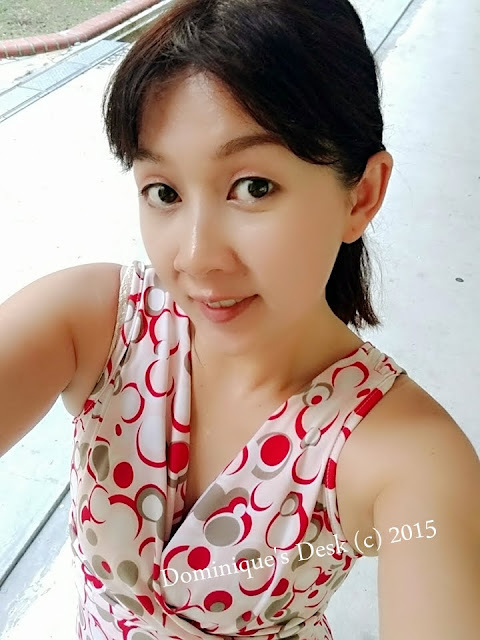 I’ve learned what is in the market and what is more suitable for my particular skin type and skin tone to enhance myself. You can say that I am fully embracing the CHANGE – the word that I have chosen as my focus word for 2015. In order to take care of others one must take care of oneself first. If you are able to focus on yourself you will be able to focus on helping others too. To be honest I never saw myself taking an interest in Makeup in the past. You can say that a person’s changes as they age and are more willing to try things that they may not have considered in the past. Circumstances and situations change and so do our priorities and financial situation. It has been liberating to know that it is still possible to earn a decent income doing what I enjoy. 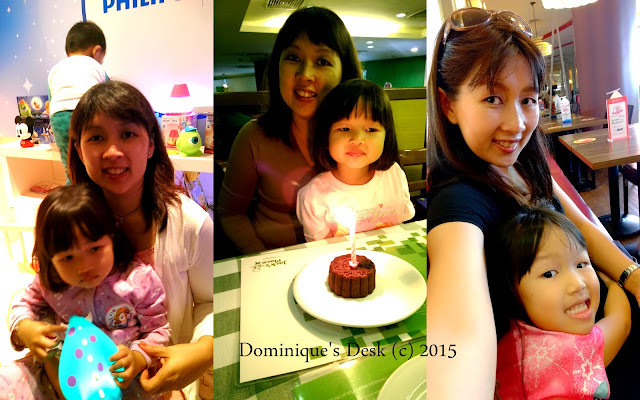 Having a work- family life balance is of utmost importance to me. Being free from the constrains of the corporate world while having enough time to be with the kids and perusing my passions is what I have always wanted since starting my family. I’m blessed that I’ve been able to do so for the past few years and fortunate to have R support my decision. Paying attention to your skin and taking care of yourself physically is of the utmost importance. I only started taking very diligent care of how I look this year. You can say that I’m loving how I look now much more as compared to how I was last year. I feel more confident and have seen an improvement in my skin quality since I’ve started taking care of myself. An Order from one of my customers. Many people around me have noticed my change and have been telling me that I am looking much better these few days. They too want an improvement in their appearance and it has given me the opportunity to share the beauty of Mary Kay and her products with them. 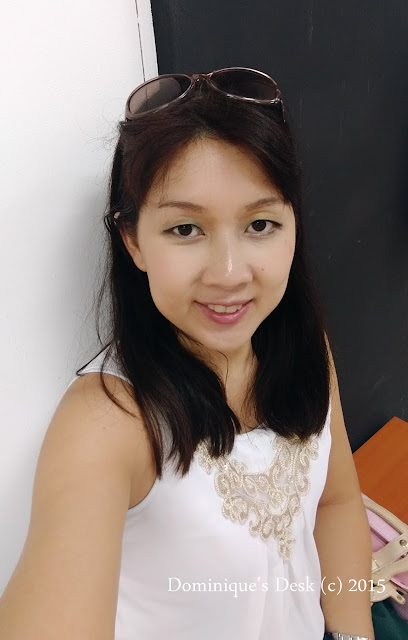 世界上没有丑女人，只有懒女人(There is no ugly women only lazy women). This is a Chinese saying which I do believe in. One has to work hard to achieve one’s goals. The best way to keep focus is to make your own dream poster which is a visual reminder of what you are striving for. From the picture above you can see that I’m striving to maintain my work- family life balance with my main focus on the family and marriage. 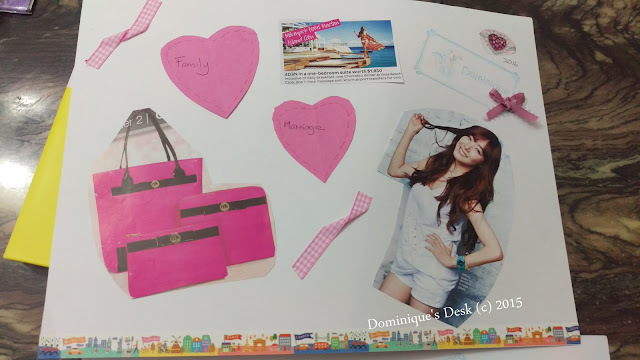 I’m working to be like Girl generation member in my poster. 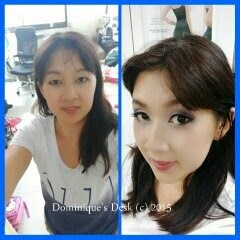 Good healthy looking skin, a trim figure and healthy hair. Travelling and seeing other places is one of my passions and I’m fortunate to have been able to travel frequently despite my current schedule. What have you learned in August? 2014 is almost over and the kids will be back in school come Friday when the new school year starts. Another year has passed and looking back at the 212 posts that have been posted this year I have a lot to be grateful about. The kids have gone a year without visiting the doctor and have had many wonderful experiences with friends and family. We have been able to spend time with the people that we care deeply for and were blessed with the gifts that we received from GOD. Looking at the resolutions which I made in January I’m glad that I’ve managed to cross out most of the items that were on that list. 1. R getting his bike licence. He is currently learning how to ride a motorcycle and aims to get his licence by year end. R was not able to achieve this as there were changes to his work plans and he had to travel more this year. He is also currently working on a project overseas so has to shelve getting his bike licence temporarily. 2. Tiger girl being able to swim a short distance without support/floats. She just started her swimming lessons at YMCA and loving it. Tiger girl is able to swim about two length underwater before surfacing for air. 3. Me getting back to my targeted weight of 60kg. I have started a new exercise routine with my personal trainer W and aim to exercise at least 3 times a week during my lunchtime break. This has YET to be achieved and really progressing at Snails pace. I’ve started on a more disciplined regime with the prize of a holiday trip to see the Sakura flowers when I get to my desired weight. I’m also documenting my weight lost efforts over at the other blog- Rachel Dominique. 4. Holiday with the family. This year we went on three holidays with the kids. We brought them to Hongkong, China , Bintan and Penang and really had a fun time bonding with them. 5. Monkey boy passing his Grade 4 Piano Practical exam. Money boy passed his Grade 4 Piano Practical exam and got a Merit. He will be sitting for his Grade 5 Piano Practical exam come 2015 while Doggie boy will be attempting Grade 2 Theory. 6. Both Monkey boy and Doggie boy being able to engage in a game of badminton with me. We didn’t get around to play badminton together with their dad constantly away. It was difficult for me to watch Tiger girl while playing playing badminton with the boys outdoor. In the end we ended up going swimming more often as all the kids could enjoy swimming together. 7. Me finding the path that God wants me to be on and fully understanding his plans for me. I find that this is an ongoing process for me as one will never be able to fully understand what he has in store for me when I meet up with him after I completed my journey here on earth. I have however joined a bible study group and am actively seeking knowledge through scripture readings and sharing sessions. 8. Crossing out all my monthly goals and to-do-lists. I have been able to do this quite easily as I’m quite consistent in following through what I have set out to do. I got a better model HTC phone to use since my previous one “died” on me and am loving it’s dual camera functions which allows me to take pictures with the kids. 10. Both boys actively helping out and cooking in the kitchen so that I can delegate one weekday to them and only have to cook for the remaining 4 weekdays. I’ve started to teach Doggie boy how to cook simple dishes and get both the boys to help out more in the kitchen. However I think it will take a bit more time before they will be able to be confident enough to prepare meals for the family on a regular basis. 2014 has been a really challenging year for me. 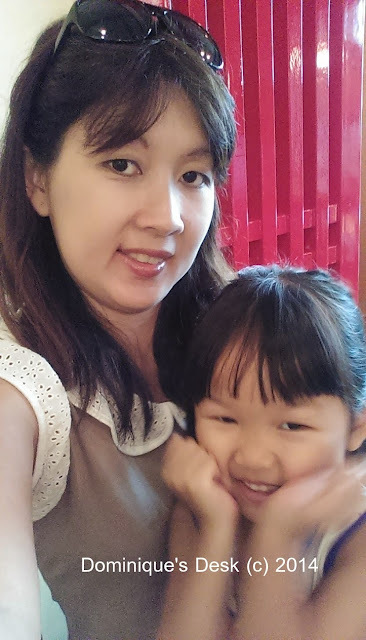 There has been a lot changes to my routine with change of school for Tiger girl and change of job for R.
Having done solo parenting for most of the year there I have encountered many challenging moments. I had been trying to make sure everything is running smoothly with minimal hiccups and it sure wasn’t easy. Procrastination and being lazy has made me waste time and lose out on opportunities to do more with the kids or for myself. On hindsight there had been many more things which I would have like to have done with the kids if I was more disciplined . I’m not going to be over concerned about this weakness of mine but be more mindful to be more focused come 2015. I guess that everyone does have their own area of weakness to work on. I have identified mine as my attitude towards keeping fit and will work towards further eliminating the time wasters that have been lingering around in my life. 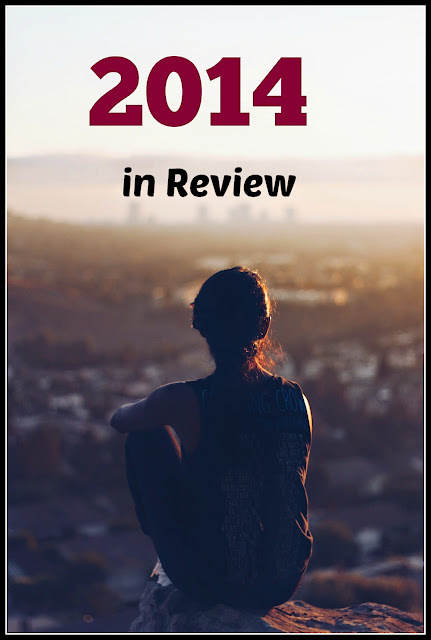 How has 2014 been for you?